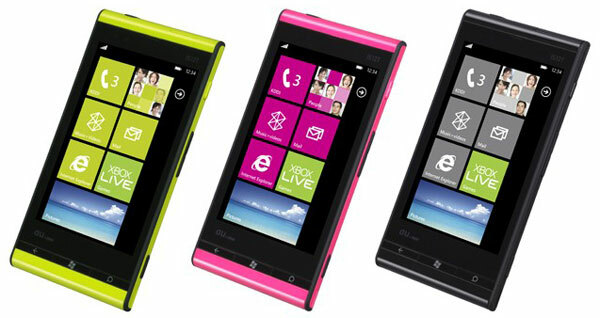 Toshiba-Fujitsu phones windows based phone 7 mango IS12 T will likely appear on the market earlier than Microsoft expected. Some retailers have been displaying mobile phones equipped with earthquake sensors feature and will be marketed on August 25. Nanapho, would peg the price of 960 USD for this phone. This phone is the result of adaptation of Toshiba's Regza phone with 2.13 MP camera that has a high resolution. With a 3.7 inch screen which has a 480x800px resolution, combined with the second generation of snapdragon 1GHz processor, plus a storage facility that reaches 32GB. Previously, Microsoft said That the issue dieluarkan That the phone is Officially on 1 September is just rumors. But if the phone is not possible to come early before September 1.